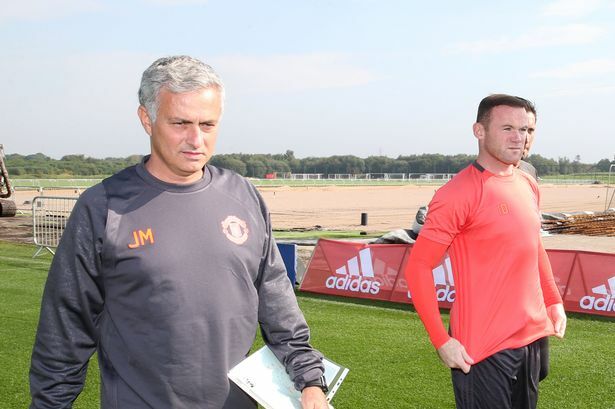 José Mourinho says that Wayne Rooney has hid an injury – suffered during training – in order to play in the Europa League encounter against Fenerbahce. The striker has been starved of first-team opportunities over the last few weeks. Many have even blamed him for the poor run of form experienced by Manchester United at the start of the season. Rooney has been one of the greatest players for the club over the last decade. In fact, he is about to write himself in the history of the club if he manages to score three more goals in all competitions. Doing so will take him level with Sir Bobby Charlton as the all-time record goalscorer for a club like Manchester United. Due to lack of first-team opportunities in recent weeks, Rooney has been growing frustrated on the sidelines. He was aware that Mourinho would rotate his squad for the Europa League encounter. However, the chances of featuring in the game against Fenerbahce took a major hit after it is understood that Rooney suffered a slight problem in training. Aware that admitting this injury would cost him a place in the starting line-up against Fenerbahce, Mourinho says that the player hid the injury. Aggravating the problem by playing the 90 minutes against Fenerbahce has meant that he will not be on the bench for the game against Chelsea during the weekend. "Rooney got injured in the last training session.He was feeling it in the game against Fenerbahce but he was keen to play for 90 minutes so he hid it.Then he felt it in training, so he couldn't come [to Chelsea]," explained Mourinho about the absence of Wayne Rooney from the matchday squad Chelsea. The game marks the return of the Portuguese to Stamford Bridge for only the second time in the opposition dugout.